Ch-Ch-Ch-Ch-Changes . . . . Many of our issues with the previous system were behind-the-scenes, so hopefully this system, which many of you may be familiar with, will solve those problems without creating new ones. At the advice of tech support, we did not import everyone’s account. We only imported existing enrollments for upcoming camps, so let us know if you think that’s you and you didn’t get a message about accessing your account. Don’t have a Dec 2018-April 2019 camp registration? Then simply set up an account on the new system when you are ready to enroll in your next program. 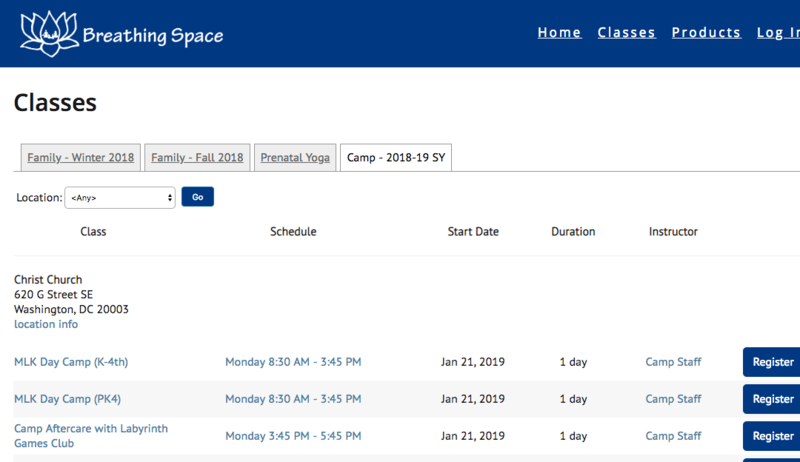 Special note for prenatal students: The new system is set up for series registrations and drop-ins. We’ll be sending you specific instructions over the next few days. If you have a class pass, just keep doing what you’ve been doing until you hear from us. If you are dropping in one class at a time, feel free to use the new system immediately or the old one until we tell you otherwise.